Perth’s only outlet-style shopping centre, open seven days a week, had more than 100 stores along with fantastic cafes and restaurants. Harbour Town Perth also offered a free Tourism Club Card and Tourism Lounge for special offers and further discounts. Harbour Town Perth engaged Fig Tree Digital for advice and implementation on digital, creative and marketing strategy, with the aim to increase social media followers and VIP program members. 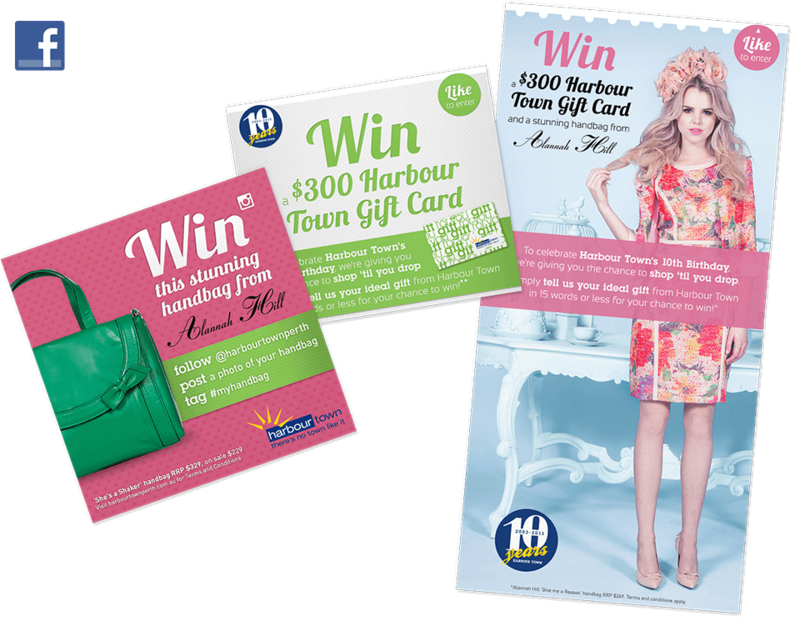 To engage and grow Harbour Town Perth’s audience, marketing campaigns and communications were also required. The marketing strategy focused on strong audience engagement and increasing in-centre activity. 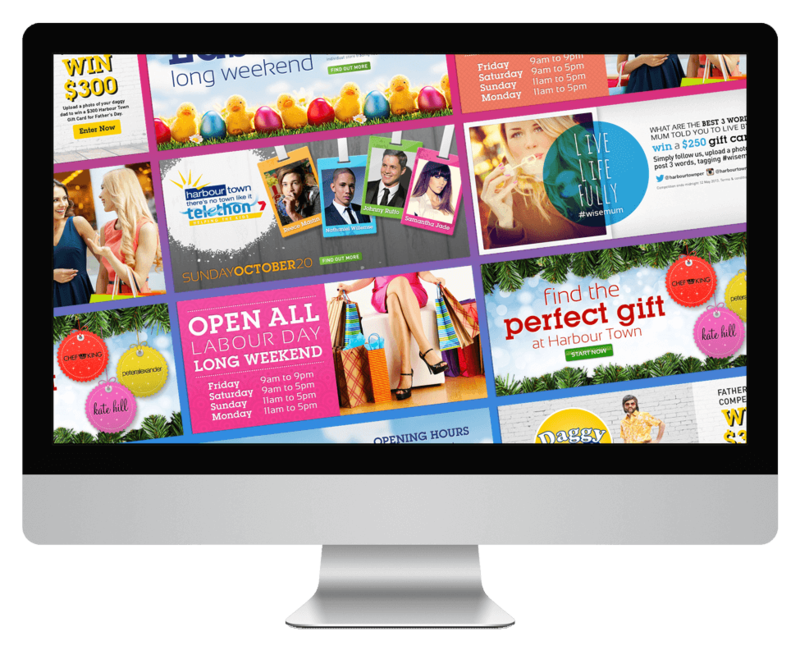 Fig Tree worked closely with the Harbour Town Perth Marketing Team for more than three years, developing digital communications to achieve retail marketing goals. Fig Tree helped achieve significant brand awareness using digital platforms, strong loyalty through their VIP Program and high engagement via social media. Harbour Town Perth’s Facebook page had the largest following for any shopping centre in Perth – achieved through organic reach, not paid advertising. The VIP Program had the highest membership of any Harbour Town centre program across the country in 2013. As a result Harbour Town Perth gained greater awareness, more online activity and most importantly, more customers shopping in centre. 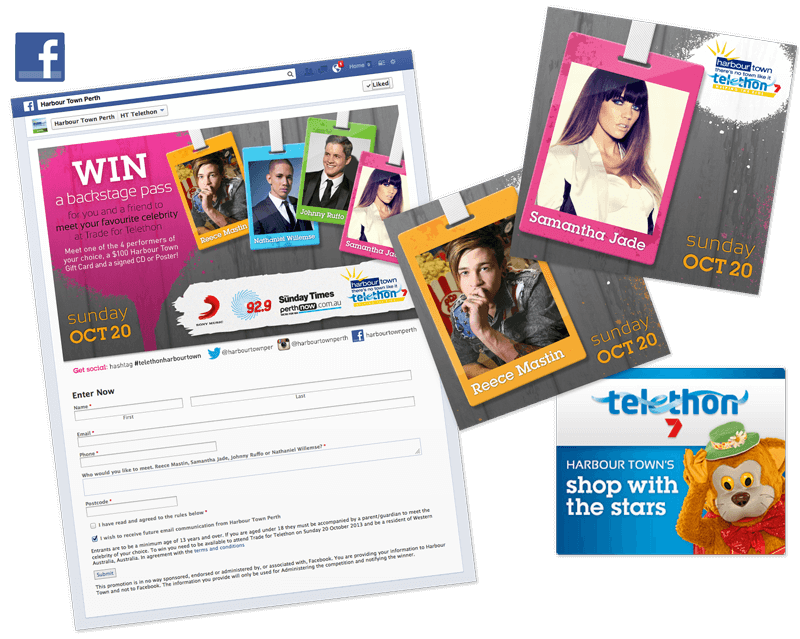 Fig Tree also managed social media for Harbour Town Perth’s ‘Trade for Telethon’, an annual event that attracted significant social media engagement.